It Wasn't Obama: Meet Vincente Guerrero, The First Black President Of The Americas — The Kolor Komplex | African-American perspective, news, culture, and expression. This will surprise some, but President Obama is not the first black president of the Americas. That distinction goes to Mexico’s, Vicente Ramón Guerrero Saldaña. Guerrero was born in 1782, within the town of Tixtla, a descendant of the African slaves of colonial Mexico, and the indigenous population. He grew up without any sort of formal schooling, and instead taught himself to read and write. This later helped him contribute to the writing of Mexico’s constitution. Some think of him as Mexico’s first, true revolutionary. Unlike many politicians today, Guerrero emphasized that the government was in place to help nurture its people, and not the other way around. In fact, acclaimed African-American historian, J.A. Rogers described Guerrero as, the Abraham Lincoln and George Washington of Mexico. Much of his life was played out on various fields of war, as he fought in 491 battles. His talent for military tactics combined with his strong public speaking skills, and agreeable personality, made him a popular figure within his army. In addition, his origins within the “tierra caliente” which housed sizable segments of “pardo” populations (mixed race), gave him knowledge of various indigenous languages. In his early years he worked for his father as a mule driver, that is until he, like many others in his racial and economic background rebelled against Spanish rule, and became insurgents. (As a little background information, according to Theodore G. Vincent, author of The Legacy of Vincente Guerrero, “By 1800, Africans were a majority of settlers in Durango, Sinaloa, Sonora, and California and Acapulco was 95% pardo.”) Two years after Guerrero rebelled, he distinguished himself in the battle of Izucar, and rose to the position of Lieutenant Colonel. Fast forward a few years: the royal government sought to end the rebellion and offered amnesty to anyone willing to lay down arms, however, even at the behest of his own father, Guerrero refused and became the last remaining insurgent leader. As author, Theodore G. Vincent put it, “In 1820 the Independence movement boasted only one standing army, the dark freedom-fighters under the command of Guerrero”, and with his military tactics, he waged guerrilla warfare, winning many battles, and kept the rebellion alive. During his presidency, Guerrero would call for an abolition of slavery, and raise taxes to try and help the standard of living for the poor, all while trying to fend off the Spanish from reconquering Mexico. 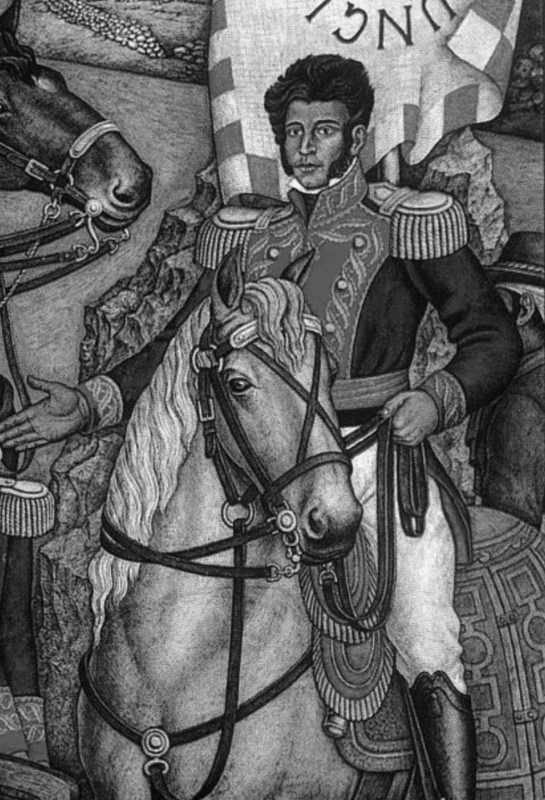 This, he accomplished at the battle of Tampico in 1829, however, his governance was short-lived: his vice president Anastasio Bustamante rebelled against him, and forced him to leave the capital to fight off the resistance. In his absence, he was pronounced unsuitable to govern, and subsequently removed from office, and after initially fighting off Bustamante, he was later captured in Acapulco through a cunning act of deceit: Bustamante’s minister of war paid a captain fifty thousand pesos to invite Guerrero onto his boat, after which, Guerrero was seized and later executed. “The clue is provided by Zavala who noted that Guerrero was of mixed blood and that the opposition to his presidency came from (elites) ... These people feared racial and social subversion. Despite his revolutionary past, the wealthy creole, Bravo, belonged to this 'gentleman's club" as did Zavala, even with his radicalism. Guerrero's execution was perhaps a warning to men considered as socially and ethnically inferior not to dare to dream of becoming president." Although his presidency was short, and his death untimely, Guerrero’s legacy was a special one, not only to those that shared his ethnic and social background but also to those that would later read and study his exploits, such as writer Theodore G. Vincent, who described him as the greatest man of color to ever live. For many of the white elite, Guerrero’s skin color and personal zeal to incorporate the dark masses into the mainstream of society, at any cost, was both intimidating and disdainful. However, his becoming president communicated strength, pride, and hope to other people of color, that could only dream such a thing was possible, especially within a country that was divided among color and caste lines. Nevertheless, he had both the imagination and bravery to envision something better for he and his people, and thereby turned dream into reality.